TV show dates: January 10, 2019 — present. Performers include: Nina Dobrev, Tone Bell, Odessa Adlon, Sheryl Lee Ralph, and Brian Stokes Mitchell. From creator Corinne Kingsbury, the Fam TV show is a sitcom that centers on a young woman named Clem (Dobrev). Although she grew up in a family which left a lot to be desired, today, Clem is living her best life, with a chosen family of people whom she loves and who return the feeling. Clem’s fiancé, Nick (Bell), showers her with adoration and comes from a stable, “well-to-do” family. Between Nick, his job as a college professor, his family, and Clem’s wonderful job and great apartment, life is going better than she would have once dreamed. Then one day, her out-of-control half-sister, Shannon (Adlon), turns up at her door. Shannon really needs to put some space between herself and their father. Clem and Nick realize they can help Shannon avoid some of the mistakes Clem made in her youth, so they invite her to move in with them. Now Clem’s two families need to become one, and if they can pull it off, they might just find a happy ending for everyone. What do you think? Do you like the Fam TV series? 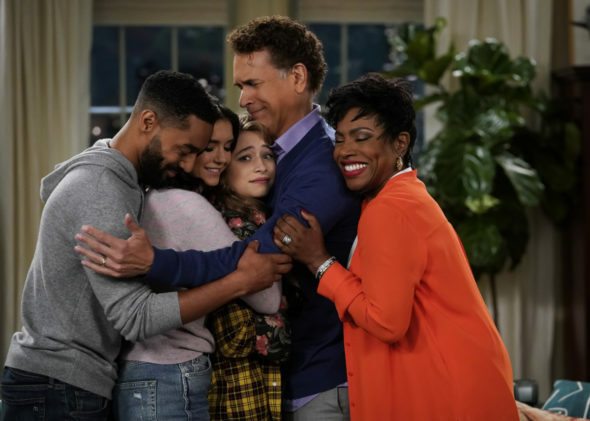 Should this CBS TV show be cancelled or renewed for another season? NCIS: Could the JAG Characters Return for a Reunion? Love the characters on fam. Would like to see a second season and see how they develop. Pleas renew Fam on CBS! This is part of my therapeutic routine!! !